In the world of seemingly endless leads and possibilities, many webmasters and marketers focus on what could be rather than what is at the moment. If you are already operating a successful venture online, then you may still be focused on how to attract new clients and customers to your domain – all the while missing out on potentially valuable business from existing customers. 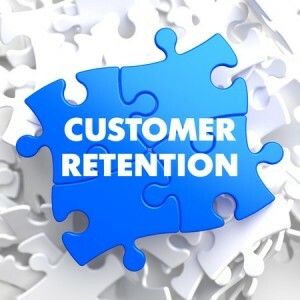 Too many people are ignoring the possibilities of repeat and recurring business from their current or former customers for the chance at new business. What do you have to gain from switching up your approach? Continue reading to find out more. What many webmasters fail to take into account with existing customers is that they have already crossed the one great hurdle that it takes to earn their business: you already have done so at least once before. Analysis shows that customer outreach from businesses in which purchases have already been made has a much greater chance of success than just “cold emailing” or random social media campaigns. If you have been considering pinging a website‘s current promotions to random strangers, then perhaps you should first consider reaching out to those who have already purchased a product or service from your business. It seems second nature to continuously reach out to new potential customers instead of fostering existing relationships with your current client base. Why do most people do this? Much like in the real world, people tend to seek out that which they yet do not have – almost acting as a buffer against future “hard times”. While new business on the internet can certainly be worthwhile, you should never prioritize such campaigns at the expense of neglecting existing customers; those who have already made one or more prior commitments in the form of a purchase will be far more likely to do so again in the future. Your “hot” leads (existing customers) are just waiting for some attention: why not begin using them? You will need to develop a strategy that reaches out to both existing customers and email subscribers, testing to see which approaches gain the highest click-through rates. By having multiple email and social networking marketing campaigns, you can isolate the ones with the highest rate of success and build a plan around that concept. We also recommend using automated approaches to make the process more streamlined; by sending out emails at the appropriate times and dates, you can gain the maximum amount of exposure. Rather than pinging a website’s information and products solely to new, potential clients, you should be equally focused on reaching out to those who have already demonstrated loyalty to your business and brand. If you repeatedly attempt to contact your prior customers with good reason, then there is a much greater chance of extracting a new sale or conversion out of them than through a random person who has never came into contact with your brand. By keeping in touch with one-time and recurring customers, you can slowly but surely build a brand that generates large amounts of repeat business.